The box may call this a "Rapier" but you won't find this blade in any fencing competition. A short, brutal, fixed-blade Knife, this monster is double-edged for slashing attacks in both directions. When the undead get too close, dispatch them with supernatural quickness. Easy in-the-field carry with included nylon sheath. 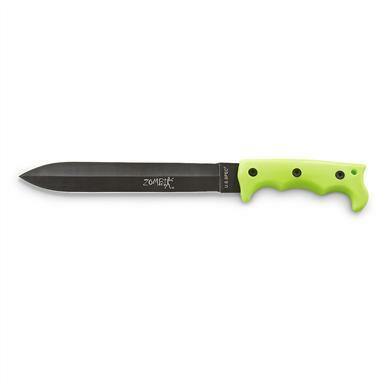 Zombie Rapier Fixed Blade Knife is rated 4.8 out of 5 by 4. Rated 5 out of 5 by Smitty from Impressive Quality for the Price A lot heavier than I thought it would be, takes a good edge, would not want to be on the wrong end of this. Rated 5 out of 5 by gravy from Great value I bought this one to carry in one of the vehicles to carry on trips in the back country. I expected OK quality, but I was surprised as to how well the knife was made. The blade was thick enough to use in survival situations and was sharp. The color of the handle makes it hard to lose and in my eye is attractive. 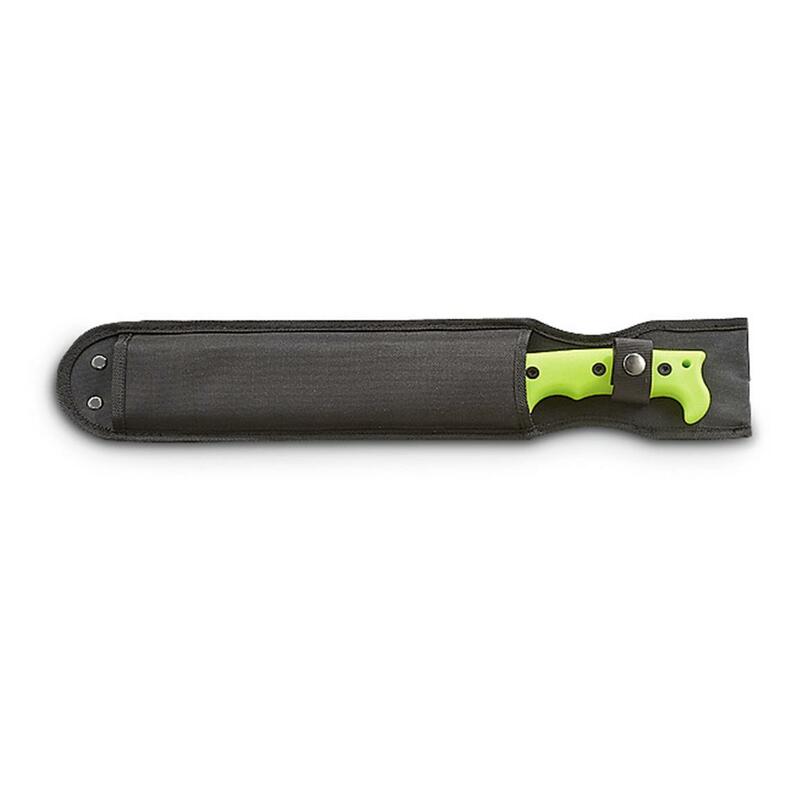 The sheath is nylon and sturdy with provision to add a leg tie down. This makes a good woods runners knife, a great companion for the outback. I liked is so well that I bought the Zombie Machete, which I like even better. Good stuff, priced right. Rated 5 out of 5 by GEORGE from I love this Zombie Rapier Knife. It is cool and would be the best brain killer for up-close action. Very sharp on both edges and a sword point NICE. Couldn't find any other shop that offered this knife, so I knew to purchase one while it was possible. Zombie Machete and Knife Combo Pack.